It's getting hot in Dubai!! My dreams of hitting the last goal for this running season have been crushed by an early onset of incredible heat and humidity this summer. 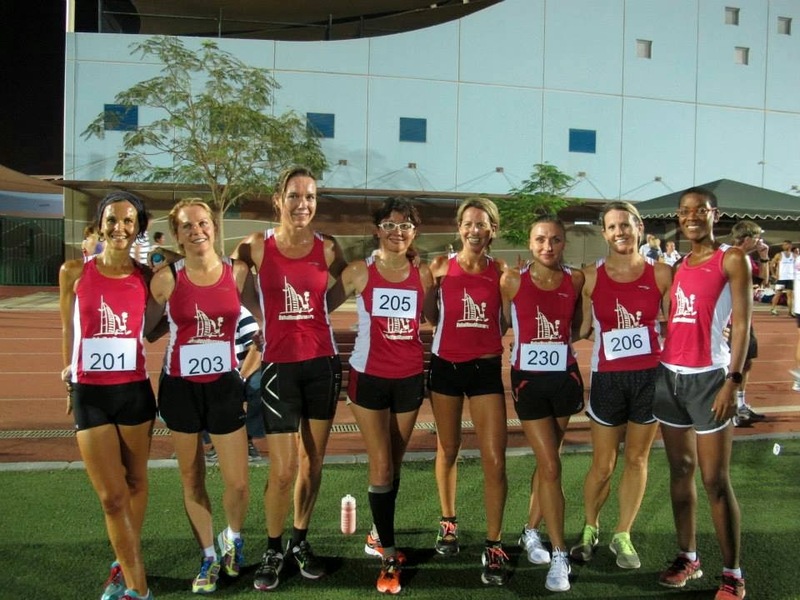 Every year, from end of April to beginning of June, we have a track competition series during which we run 5000m, 3000m, 1500m, 800m and a 4x400m relay on a track. The 5000m were scheduled for last Monday. In December I ran the unfortunate time of 20:01 on a hilly 5k course. Needless to say that I haven't stopped dreaming of breaking the magic 20 minute ever since. 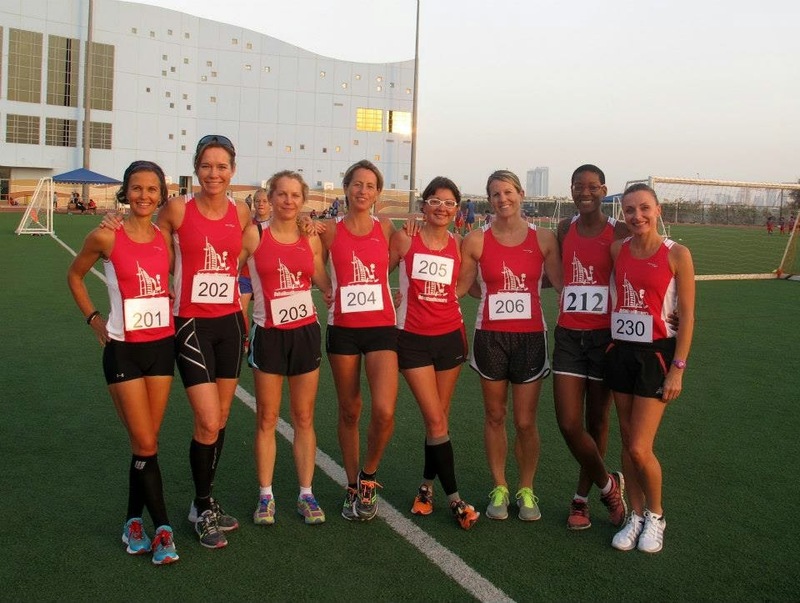 5k races are scarce in Dubai. I had to wait til April when summer is definitely on its way. Before the race I looked up last year's weather at the 5000m on my Garmin stats. It was 26C/79F degrees. This year we were graced with 32C/89F degrees. Ouch! Heat in combination with humidity is the biggest killer for any sort of speed. Forget about your PBs. You will simply not be able to run a distance race at the same speed, as parts of your body's available energy will be used to keep your body temperature down. The problem gets worse with high humidity, as the cooling sweat produced by your body can not evaporate as easily from the skin. It's simple and pure survival mechanism that you slow down to prevent the body temperature from rising to dangerous limits. As a result, I did worse than last year. But so did everyone else. My finish time was 20:34, way behind the sub 20min that I had dreamt of. An atrocious number. Nothing else but the weather was to blame. I recently saw statistics that the most marathon world records were run at temperatures between 6C/43F and 10C/50F. Obviously, the longer the distance is the more impact the weather has on your performance as your body available energies will have to be shared with the circumstances. However, I still enjoyed that 5k race despite the horrendous conditions. Once more it proved to me, that a good race is not just about the finish time. I ran an even pace throughout the race. Every time I manage to do that, I realize that this I finished at maximum heart rate, which is a good sign that I gave it all. I enjoyed it so much that I had a hard time to come down after I got home. Definitely the biggest downside of an evening race. I tried everything from red wine to ice cream.... I was still buzzing for a long time. I admit I didn't eat healthy honey sweetened frozen yogurt. I had store-bought unhealthy chocolate ice cream. Yes, there you have it. 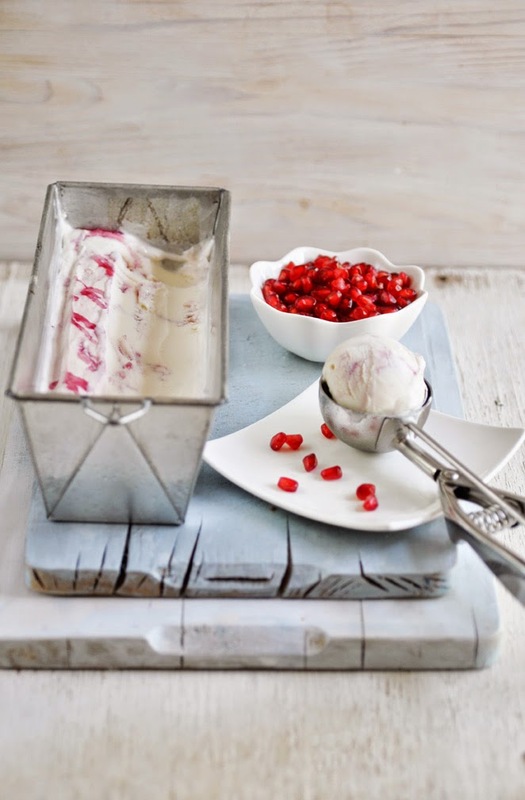 But I share with you my latest frozen yogurt recipe. I love the original tangy flavor of the yogurt in this that is just laced with a fruity ribbon of pomegranate. What better way could there be to cool down in the summer. I hope you enjoy.